This mill includes the complete production of the welded tube and the following corrugation with parallel waves, in line operated. 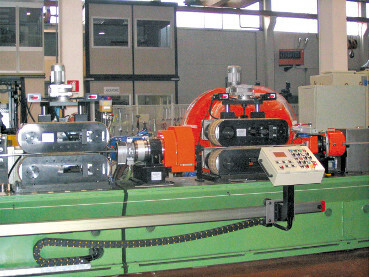 The different tube mill models can run sizes from min. 10 mm to max. 76 mm O.D., with wall thickness from 0.15 mm to 0.35 mm. 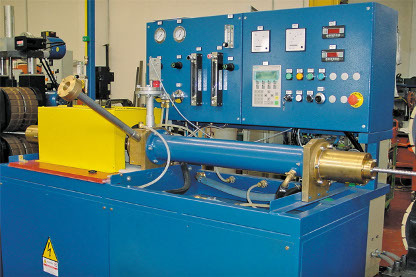 Tube is formed by not driven roll and die stands and is welded on a roll station. 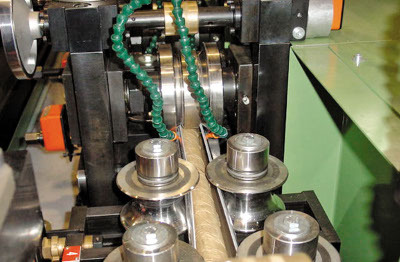 Tube is pulled by a caterpillar unit using belts made in a special type of rubber and is then corrugated by amechanical system into parallel waves. 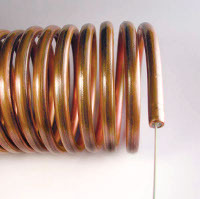 Coil of gas and water flexible tube. 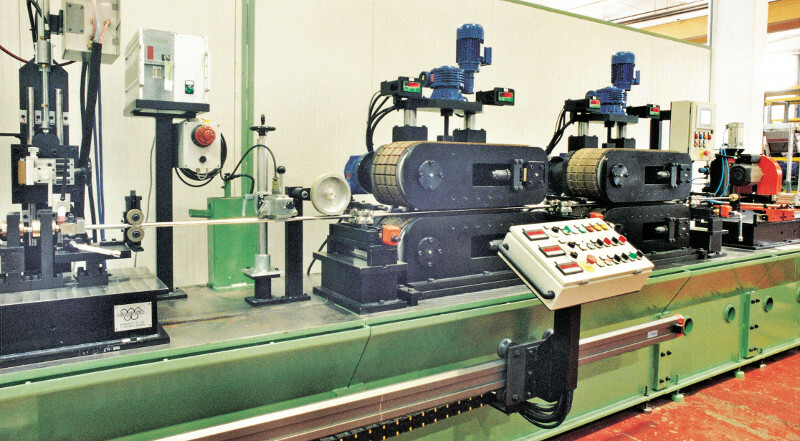 Flexible tube production line, Mod. 30/35, for tubes from 10 mm to 35 mm O.D. 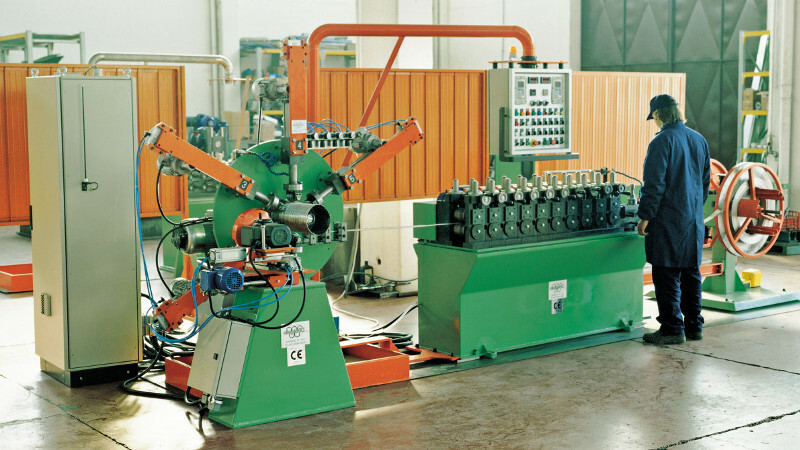 In-line annealing machine for corrugated tubes. 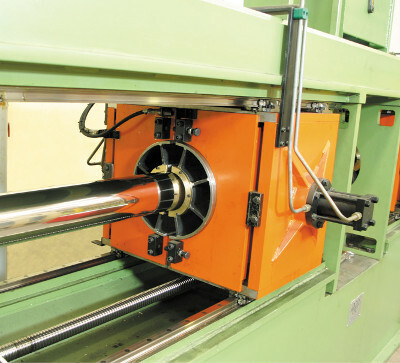 Two corrugation units on the line allow to improve the wave height and they guarantee a high-quality finish. 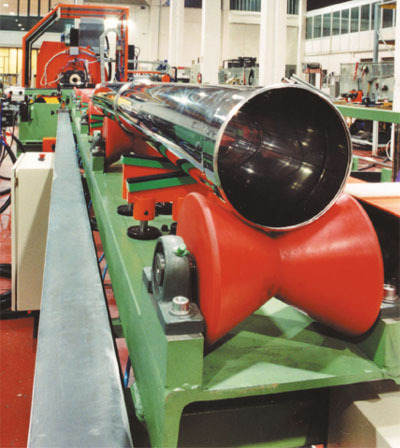 Flexible tube production mill, Mod. 50/60, for tubes from 10 mm to 60 mm O.D. This mill is designed for production of round tubes with very thin wall thickness, from 0.12 mm. Different models are made to cover size ranges up to 120 mm O.D. and thickness of 0.5 mm. The forming group is mounted on a mobile plate. The mill is provided with an indipendent forming group for each requested size to enable the quick change of tube dimension. Tubes are formed using a roll less system, Tig welded in continuous and they are pulled by means of a double axis puller. 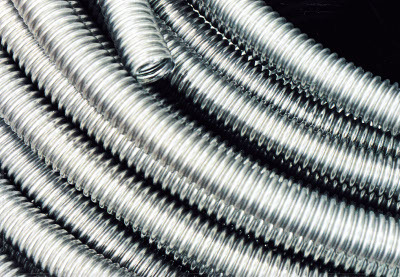 Tubes can be produced in a size range from 80 mm to 250 mm O.D. and from 0.5 mm to 1.5 mm thickness. The cutting equipment cuts, directly in line, short tubes down to 500 mm, allowing the installation of an automatic end forming system. Chimney tube made and welded in continuous. 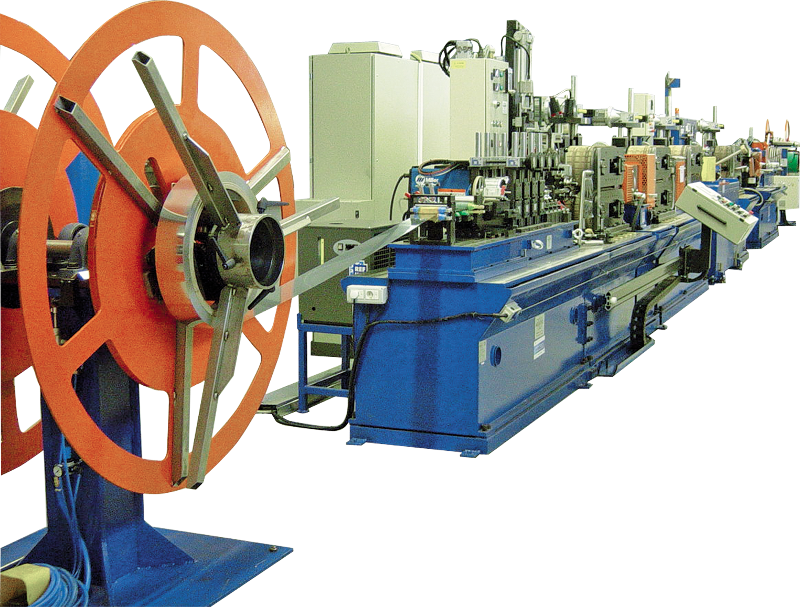 Olimpia 80 makes complete lines for the production of welded tubes with inside cables. The precision used in the cable insertion and in the tube welding enable to produce very long length. 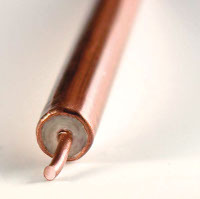 Copper tubes with optic fibres. 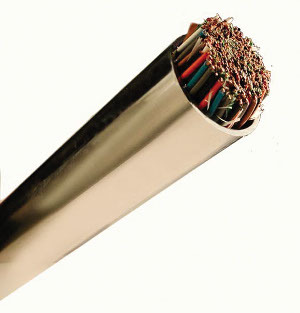 Aluminum tubes with coaxial cable. 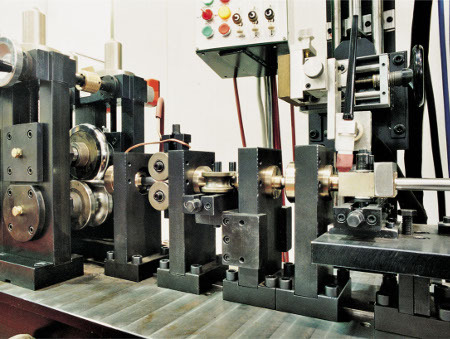 Mill for production of stainless steel or aluminum tubes with spiral forming and crimping. 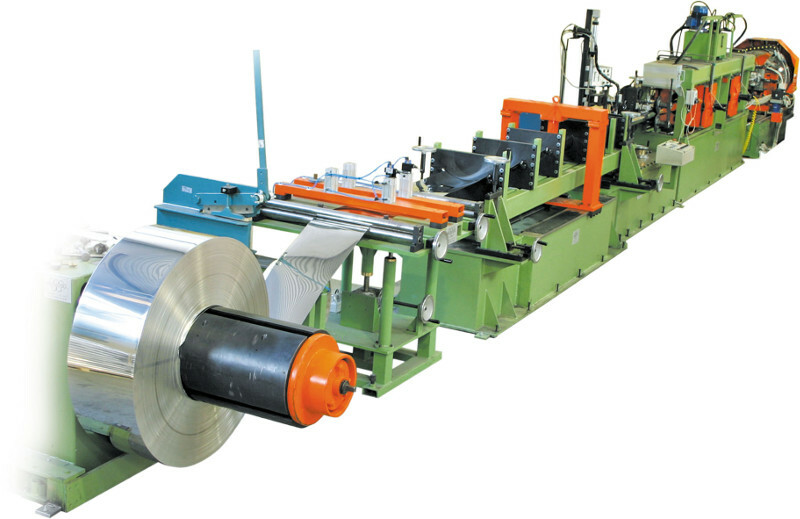 This line is suitable for making from 0.1 mm thickness tube with simple wall or double wall. A new method that has been studied and developed by Olimpia 80 allows to change of the traditional crimping with the spiral welding of the tube to reach better performancies and higher pressuretight. 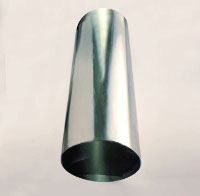 Chimney tube in stainless steel. This new model comes out from a challenge to the traditional idea of tube line. 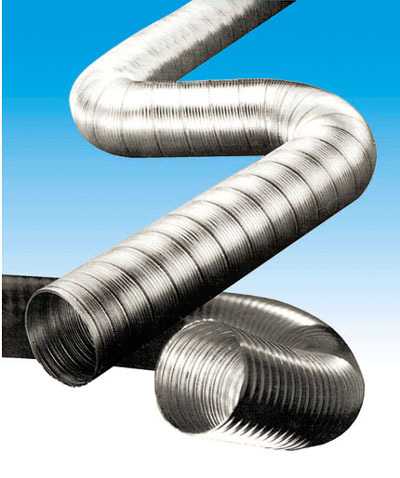 It is the concrete application of years of experience in the small tubing production and designing. Two production lines in one. Two different tube dimensions, that are produced at the same time on two different axis. This is the result of a project that was aimed at the achievement of high efficiency and competitiveness, a mixt of quality, simple use and reduction in costs.